Flexible lines to the collector: faster and easier to install and a more appealing appearance. After installing it in its designated place, the collector finally needs to be connected to the water circulation. 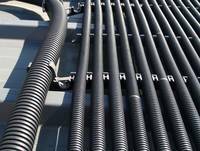 To do this, people used to use grey PVC piping, but it is not, however, ideal for this purpose. 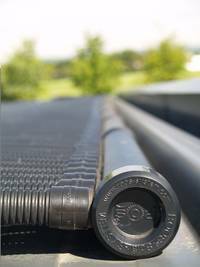 Over the years a PVC piping fades and its thermal expansion is different to that of the collector materials, which can lead to stress. Besides, pipe bars need to be cut to length, and for "obstacles", bends etc. brackets and elbows have to be used. This requires an awful lot of time and a lot of material. 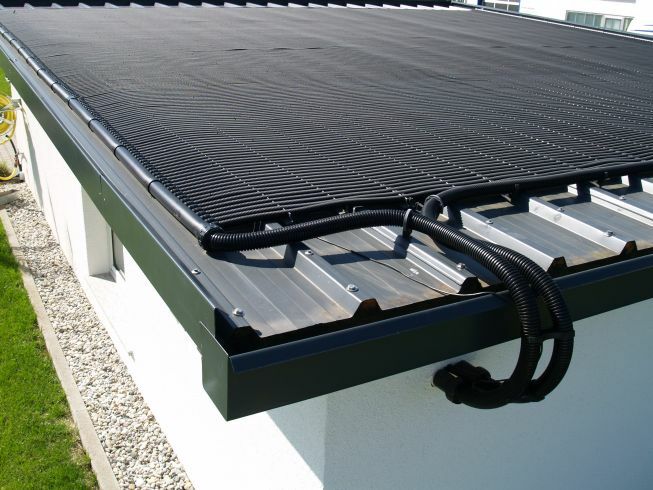 For making this part of the installation easier and quicker, ROOS has developed a special system for connecting the collector: the solar-rapid 50. Only ROOS provides you with a connection system which is optimally attuned to your collector! Slopes, bends: not at all a problem for solar-rapid 50. 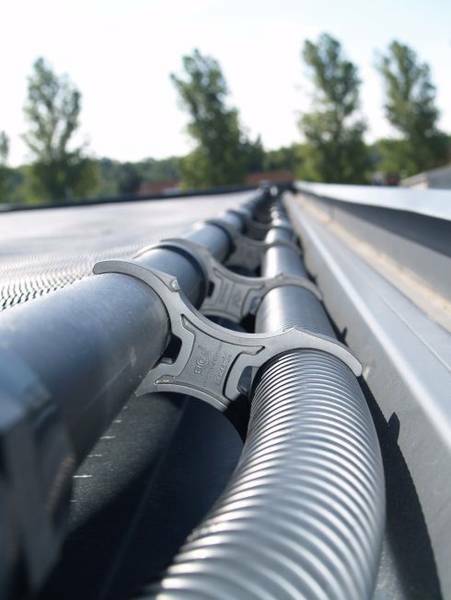 Eaves gutters, juts, any kinds of angles and bends are easily done with solar-rapid® 50-lines. This saves a lot of time. And your solar heating is beautiful to the eye. It’s made of the same material as the collector and UV resistant and frost-proof too. Also the thermal expansion is the same: no stresses that can lead to damage. The connection lines are in the same colour – which is simply more pleasing to the eye. 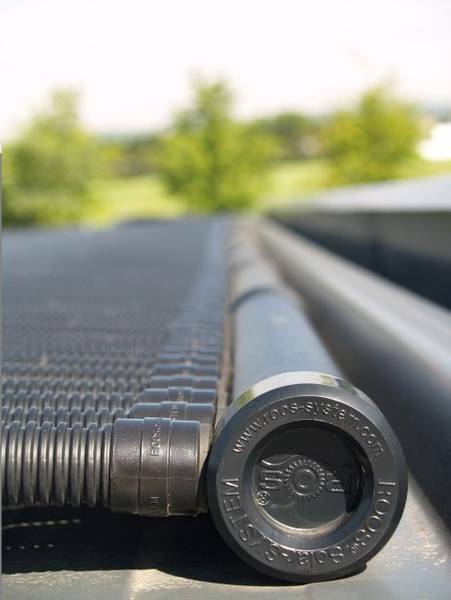 Solar line bracket: special retaining sections, into which the solar-rapid 25 pipe (and in the last row the solar-rapid 50 connection pipe) is simply clipped. Twin bracket for solar-line. 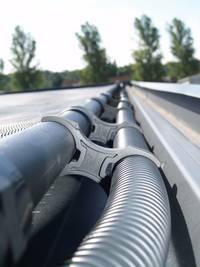 For fixing the ribbed pipe, Ø 50, on the ROOS® distribution pipe. All components have been designed by ROOS, and are available in individual shapes. solar-rapid®: quality made in Germany!